A selection of some of the projects the EFF has ran in over a decade of bringing fashion industry professionals together to learn, share and collaborate for a more sustainable fashion industry. SOURCE was EFF's flagship project for five years and the pre-cursor to Common Objective. SOURCE provided a 'one-stop-shop' for ethical brands and suppliers and those interested in sustainability in the industry. 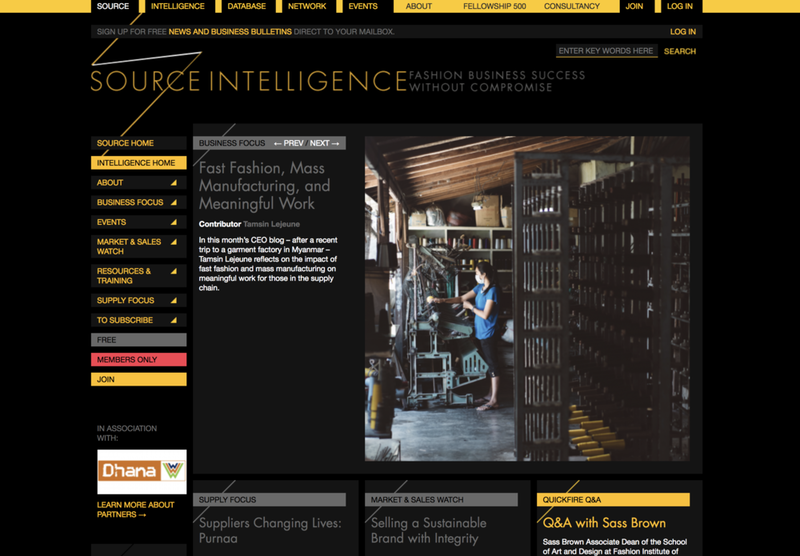 SOURCE Intelligence provided articles, training, inspiration and other resources on building sustainable fashion businesses and showcased pioneering brands, suppliers, and innovation. Find similar resources and more on CO. 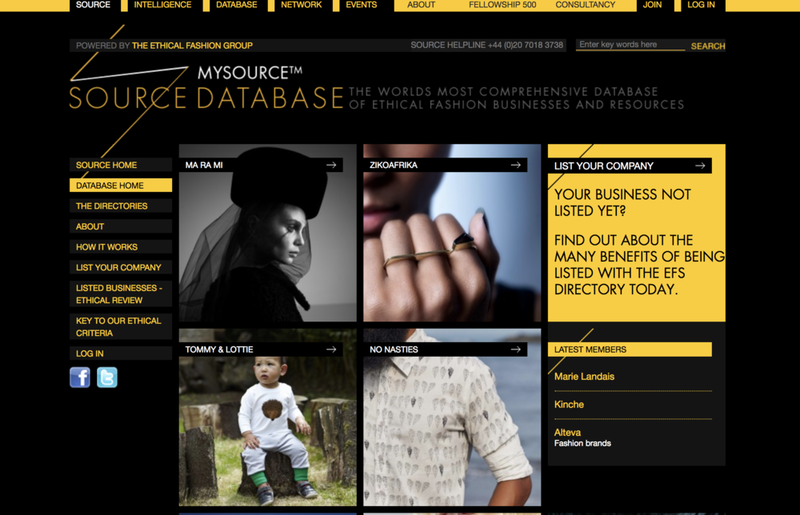 SOURCE Directories were the most extensive ethical sourcing and business database for the fashion sector. Now use CO to find fashion professionals, brands, suppliers, and more. SOURCE Expo and Brand Preview were the world's first ethical sourcing online trade shows. CO Connections & CO Showcases enable you now to find brands and suppliers globally. SOURCE Awards - the Global Awards for Sustainable Fashion, launched in 2012 and recognised excellence in fashion and sustainability across 12 different categories. You can access the archived SOURCE website here. However we encourage you to sign up to CO (it’s free) to access the latest information and connections to help you do fashion better. The INNOVATION Awards showcased inspirational new talent in fashion design and sustainability. They acted as a launch pad for an emerging generation of leading design talent, and were run in partnership with London Fashion Week. Past winners include Christopher Raeburn, Ada Zanditon, Lalesso, Beautiful Soul, Ivana Basilotta, and Studio Jux. A series of workshops and training events, the EXCELLENCE programme was designed to support entrepreneurs and businesses with social and environmental goals to excel financially, achieve success, and increase their profile - whilst maximising social and environmental impact. A twelve month training series aimed at reducing poverty and creating sustainable livelihoods in the supply chains to the global fashion industry. 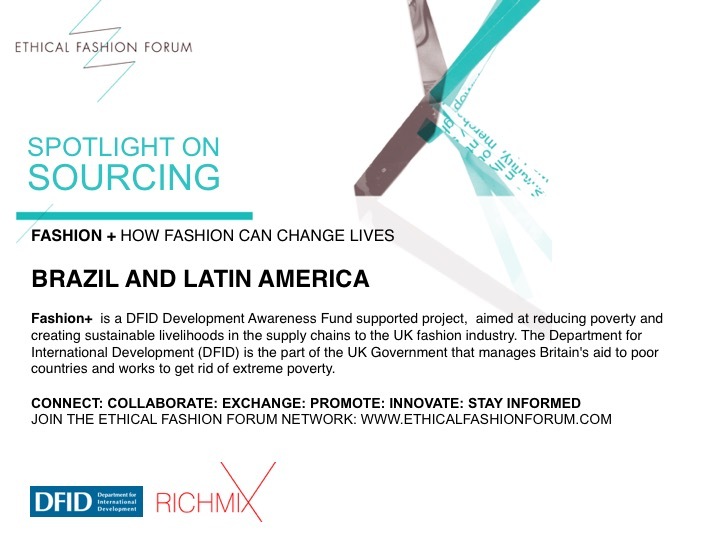 Funded by the UK's Department for International Development, this was the first comprehensive programme for the fashion industry supporting sustainable sourcing, and catalysed the ethical fashion movement in the UK and beyond. 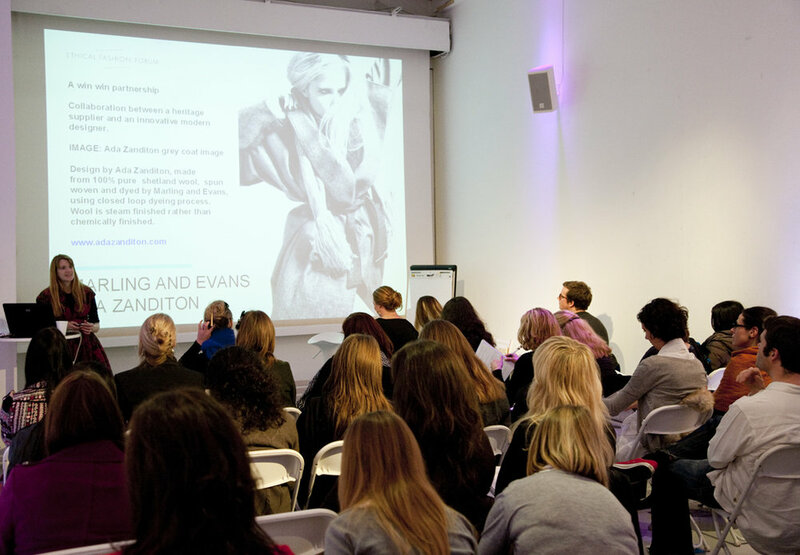 Evening seminars for 50-100 participants with an expert panel ran alongside in depth masterclasses, providing the tools and resources fashion professionals needed to make informed choices in their working roles. EFF partnered with the launch of this flagship ITC initiative, building the network of major brands and retailers that participate in the project. Through meetings with brands such as Vivienne Westwood and Stella McCartney, the EFF catalysed their engagement, leading to the Vivienne Westwood Ethical Fashion Africa range. The EFF also supported the project on marketing and communications and organised and participated in workshops and events in the UK and Africa. EFF worked with NGO Tabeisa to design, manage, and launch a fashion competition bringing together design and market expertise with a fair trade organisation, Women in Progress, in Ghana. Topshop was established as a buyer for the winning designs which were sold through their flagship store in Oxford Street. When the collection sold out within four days, a larger re-order was made from Women in Progress in Ghana. As a result of this, wages for the women’s co-operative workers were raised from as little as $1 a day to $11-12 per day. At the very beginning of the sustainable fashion movement in the UK, the EFF raised awareness for and put the spotlight on pioneering brands and designers in the space. Showcases and catwalks of sustainable style were organised in collaboration with a raft of other organisations including the V&A Museum, Ethical Fashion Show Paris, Chinawhite, the BBC and the Bangladesh British Chamber of Commerce.